We’ve created a Halloween-themed treat made out of Maia Yogurt. 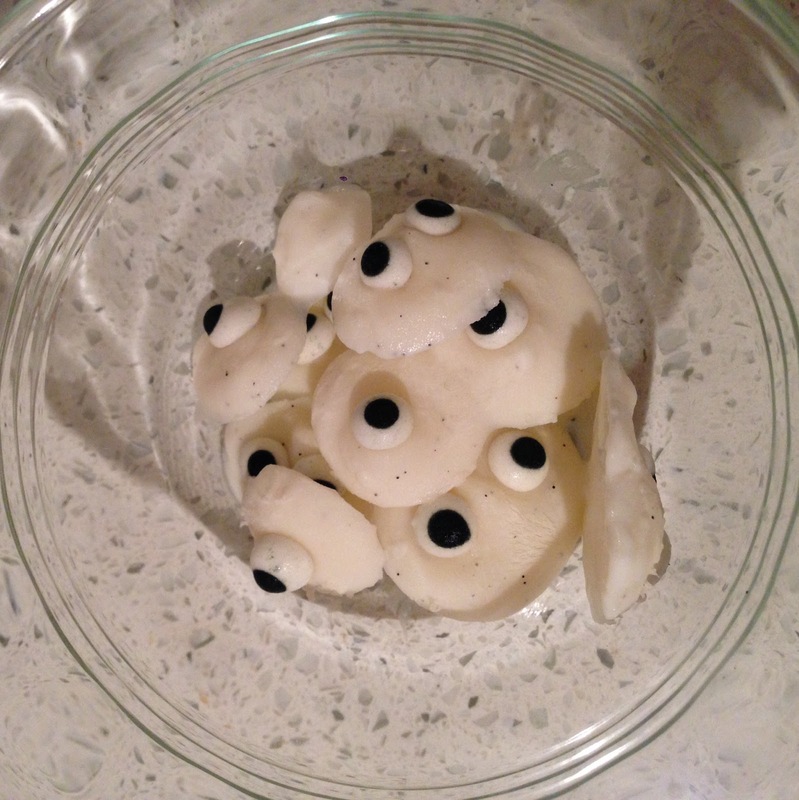 These look-alike eyeballs are perfect for pre-Trick-Or-Treat snacking. -edible food paint OR chocolate chips OR sugar eyeballs: We used sugar dots but you can use anything to make the yogurt look like eyes; some suggestions here and here. Scoop the Vanilla Maia Yogurt into the plastic bag. Cut off a small corner of the bag so the yogurt can squeeze through. Squeeze small dollops of the yogurt onto a pan coated with wax paper. You can stick chocolate chips or sugar dots into the yogurt at this stage or you can draw on the yogurt when it’s frozen. Stick the pan in the fridge until the yogurt drops freeze. Draw black dots on the drops so they look like eyeballs. Enjoy your scarily good, spookily healthy treat!